We are sorry, this product will soon be removed from the site. Buy 2 or more clubs from any brand on this discount offer and save £15 per club! 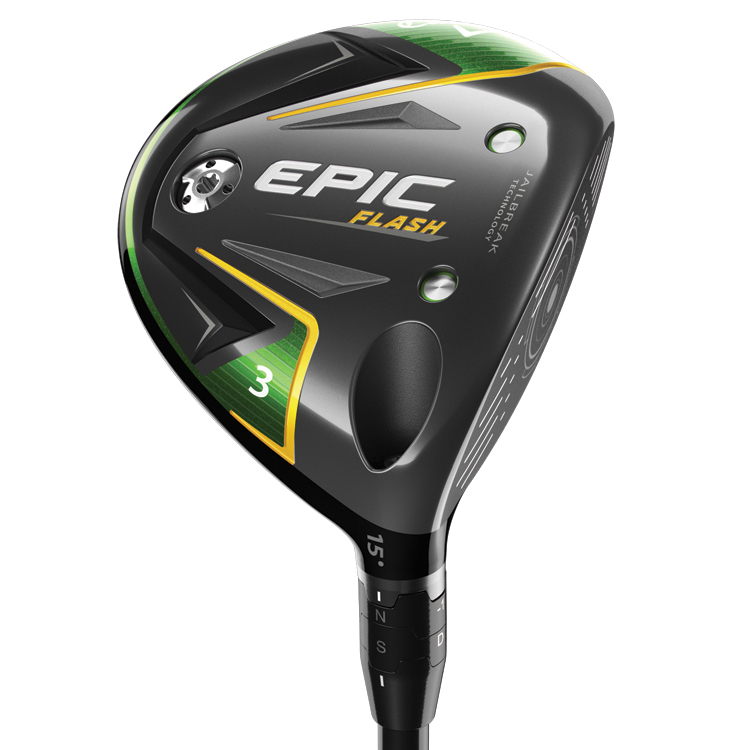 The new Epic Flash Fairway Woods feature groundbreaking new Flash Face Technology to help golfers of every level and swing speed get more ball speed and distance. Flash Faces sophisticated architecture was created by Artificial Intelligence  the first known instance of using A.I.in the golf equipment industry  and Machine Learning, a field of computer science that uses statistical techniques to give computer systems the ability to learn with data without being explicitly programmed. Through Machine Learning our computers cycled through 15,000 face iterations, learning from each one, before arriving at Flash Face. 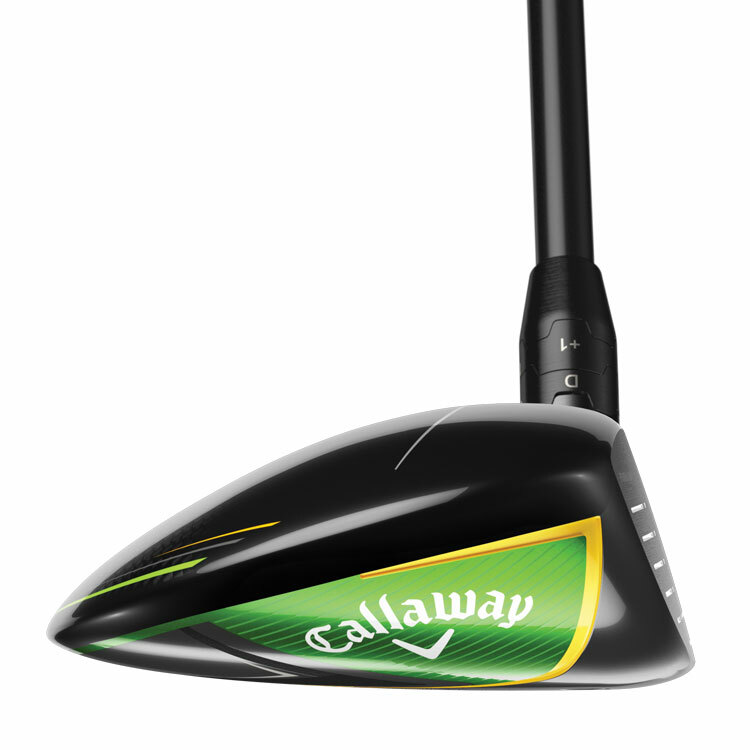 The result, consistent faster ball speed in the center region of the face for every fairway wood produced. Now with Jailbreak Technology as used in the drivers, the internal Jailbreak bars stiffen and stabilize the crown and sole, placing more impact load on the face. This drastically reduces the flex on the face to double the impact load for more energy and ball speeds across the face. For forgiveness, a new lighter triaxial carbon fabric crown called T2C has a tighter weave; the weight it saves is redistributed within the head to raise MOI for exceptional forgiveness on off-center hits. 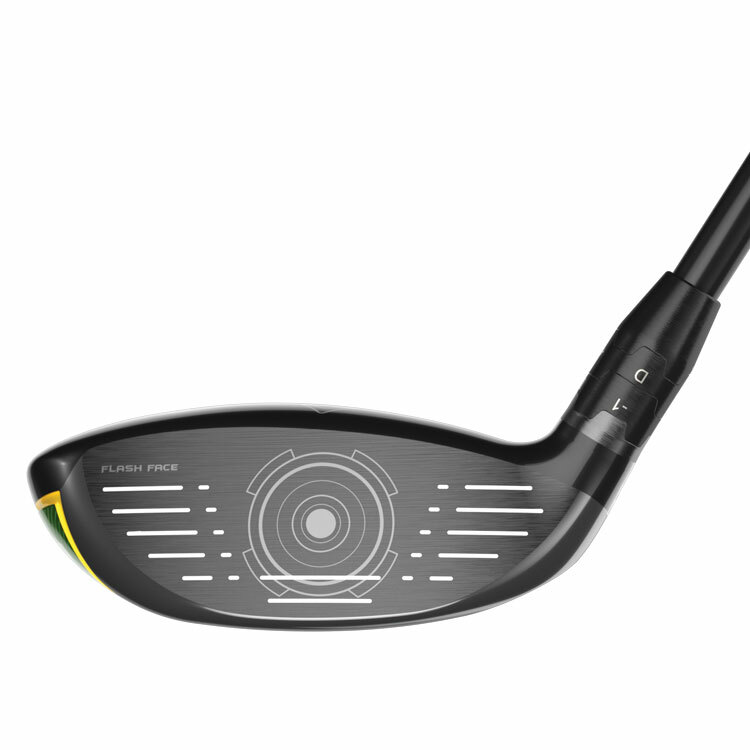 Complete with full loft adjustability, the OptiFit hosel allows you to adjust the loft of the club up or down to suit your requirements giving you greater customization from your fairway wood. On windy days, adjust the loft down for a penetrating ball flight and if you need more carry with control, crank the loft up. 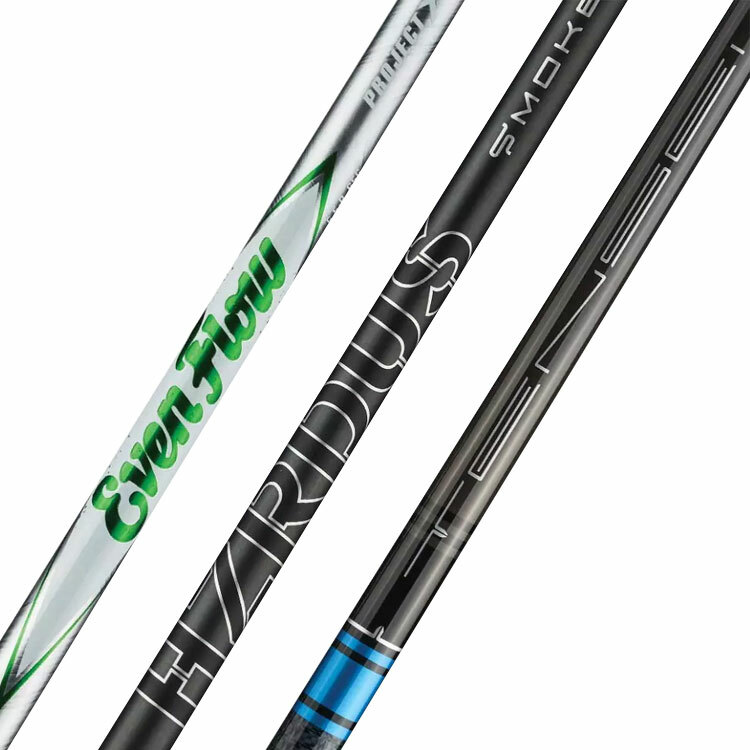 Fitted with 3 premium shaft options as standard, choose from the lightweight Project X Even Flow for a high ball flight, Tensei AV Blue for mid ball flight and the Project X HZRDUS Smoke for a more penetrating flight with reduced spin. 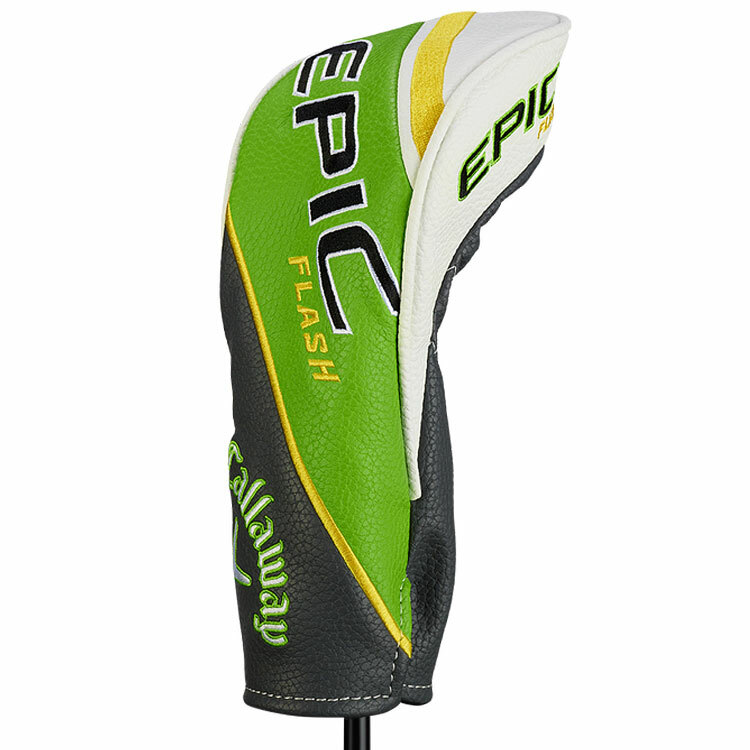 Finished with the premium Multi Compound Align Grip with the complimentary Epic Flash colour-ways. 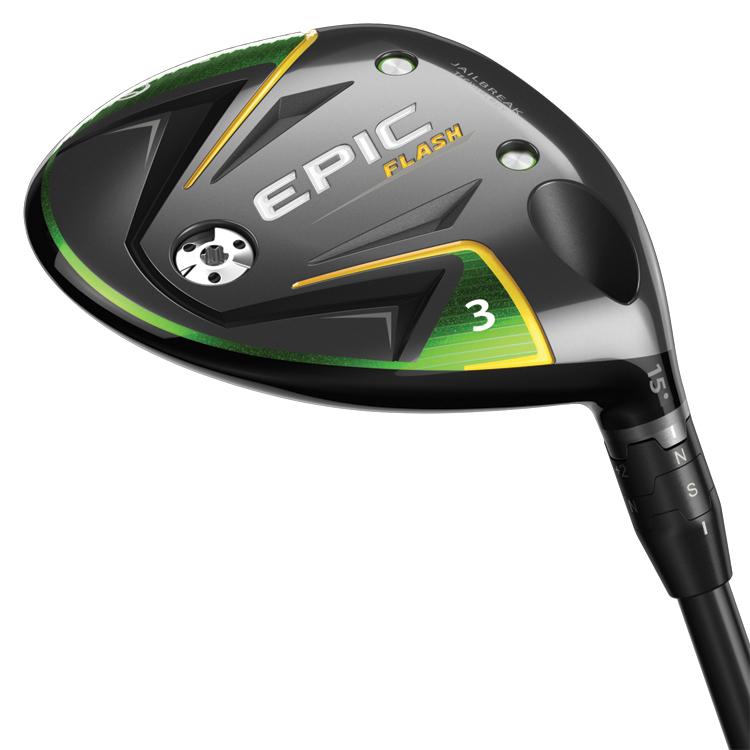 Flash Faces sophisticated architecture was created by Artificial Intelligence  the first known instance of using A.I.in the golf equipment industry  and Machine Learning, a field of computer science that uses statistical techniques to give computer systems the ability to learn with data without being explicitly programmed. Through Machine Learning our computers cycled through 15,000 face iterations, learning from each one, before arriving at Flash Face. The OptiFit hosel allows you to adjust the loft of the club up or down to suit your requirements giving you greater customization from your fairway wood. On windy days, adjust the loft down for a penetrating ball flight and if you need more carry with control, crank the loft up. Callaway partnered with Golf Pride to launch the Multi-Compound Align Green grip. This grip promotes consistent hand placement and clubface awareness through a raised ridge and tactile texture on the underside of the grip. Using the Callaway Opti-Fit hosel system, the Align strip is always in the proper orientation no matter what hosel setting is selected. We are so confident you will experience improved performance. us within 30 days for a full credit. meet your expectations, then you can return it back for a full credit to spend on anything else. 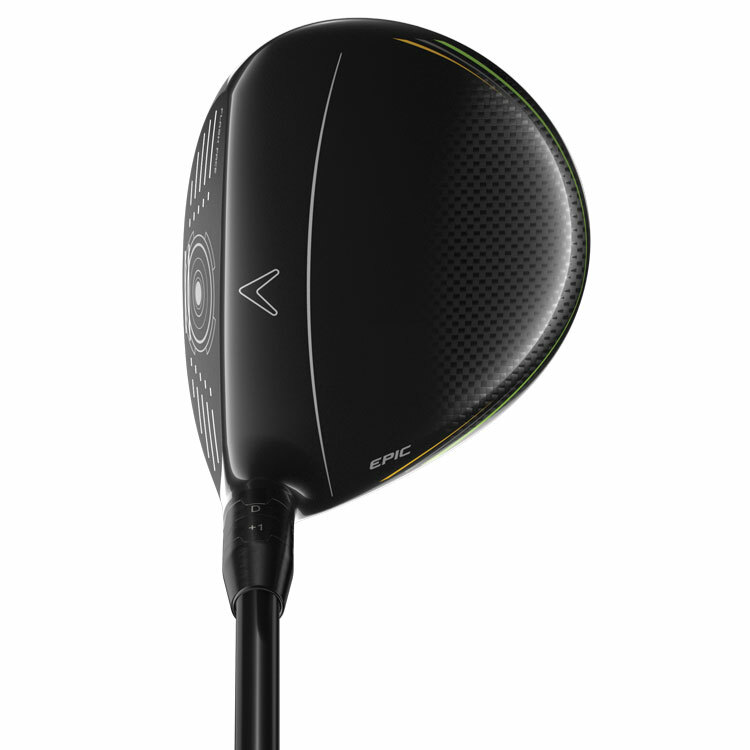 Purchase this club at the standard price (excludes Custom Fit options). Purchase this club for personal use (not for a business e.g. reselling purposes). Retain the original receipt which clearly shows the date of purchase and the amount paid. How do I claim under the guarantee? Contact our Returns department so we can log your claim. Complete a Returns Form and enclose a copy of your original receipt in the parcel. Return the club in it's original packaging back to us with the accompanying headcover, wrench and instruction booklet (if applicable). Only one claim request will be accepted per person and duplicate orders will be disqualified. 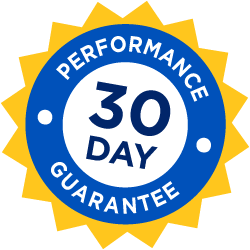 This promotion only relates to the club with a performance guarantee and not any other products purchased. The club must be the original you purchased that matches the recorded serial number. The club must be in good condition that relatively shows up to 30 days of use. The club must not be damaged, sky marked, modified or tampered with in anyway - only signs of fair wear and tear will be accepted. The condition of the product will be determined upon return and Clubhouse Golf reserve the right to refuse the claim outside of normal wear and tear. If you successfully meet all of the above criteria, we will process your claim and email you a credit note to the value of the product, which you can use to spend on anything else listed on our website. We offer the choice of standard or custom fit options, where this product can be built to suit your personal requirements. To view the custom fit for this product, please click on the green 'View Custom Fit Options' button, next to the product options. If you need any advice on custom fit options, please call our PGA Golf Professionals who are fully trained in personal custom fitting. You can call us on 0333 800 1617 or alternatively you can email us at sales@clubhousegolf.co.uk. As the leading custom fit retailer, we aim to deliver your custom fit order as quickly as possible. All custom fit equipment is built at the manufacturer's custom fit factory to ensure the highest quality of build, which may take up to 10-14 working days as per the manufacturer's lead time. We have loads of great customer reviews. We provide a fast efficient delivery service for both the UK and International orders. We offer Interest Free Finance from only £250 with no deposit to pay. We won't be beaten on price! If you've seen it cheaper, then give us a try. We have a simple returns policy so you can shop with complete confidence. We are an authorised retailer for this brand. This means that you can be assured in receiving official productswith a manufacturer warranty.